Congratulations to Trish from Tecnica Group USA, the winner of the NHMUG giveaway of a 2019 NEUGC Registration! Why Join A Local User Group? NHMUG Board member Dawn May writes an article for IT Jungle discussing reasons why you sould join a local user group. Come to this session and dissect all the new components and concepts involved with partitioning your IBM Power Systems. Learn how all the pieces connect to each other, what you need to do to set them up, and how to manage and upgrade them. Get a handle on the various components of the Hardware Management Console (HMC), the Flexible Service Processor (FSP), and the Advanced Systems Management Interface (ASMI). Find out about the firmware in your machine, and how to make the required updates to it in an LPAR environment or on a standalone machine. Get tips for upgrading and setting up communications between the HMC and FSP as well as insight on where the ASMI fits in. Leave this session with up-to-date knowledge on these important hardware features of IBM Power Systems & IBM i.
IBM Navigator for i is a powerful new tool to better manage your i environment. Get expert advice for installation and set up to make sure you get this powerful tool up and running at peak efficiency. Step through the functionality of this product and learn how to leverage the Performance Data Investigator to turn the collection services data into graphs you can use to identify performance issues. Learn ways to protect your system from intrusions, as well as close security holes such as FTP. See how this tool can help you select and install Logical files on your system to improve performance. 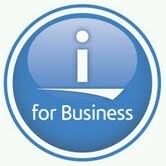 Learn about the enhancements to this valuable tool in the release of version 7.3, while we see how this tool provides tips and techniques for better and more easily managing your IBM i.
Pete Massiello has been working with the AS/400, iSeries, IBM i since 1989, focusing on systems management and technical support. He has held numerous technical positions throughout his career and is currently the President of iTech Solutions Group, an IBM Premier Business Partner delivering solutions and services to IBM i shops throughout the United States. He is a member of IBM's certification test writing team and an IBM Certified Systems Expert with certifications in iSeries Design, Administration, Virtualization, Implementation, LPAR, and HMC Management. Pete has a BS in Computer Science from Hofstra University and an MBA from the University of New Haven. He was President of COMMON from 2010 to 2012, and is now Immediate Past President, a COMMON Hall of Fame speaker, and a frequent speaker at user groups all over the world. In 2011, IBM established the Champions award for Power Systems; Pete was one of the first recipients.